The Academy halls are buzzing with activity again! We enjoyed welcoming back our faculty and staff yesterday after a wonderful summer. 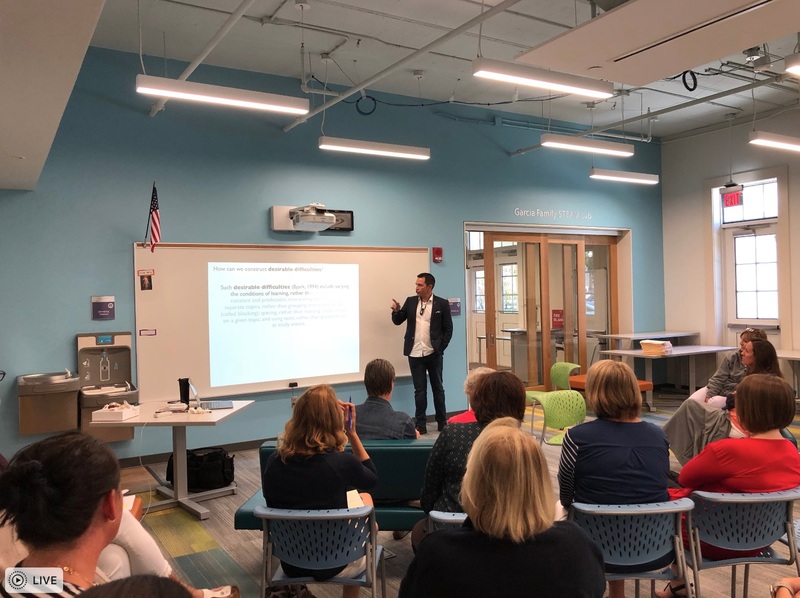 We were honored to welcome renowned educator Dr. Myron Dueck, a vice-principal, teacher and author, to lead our faculty and staff in professional development workshops. His Keynote presentation entitled "Why Listening to Our Students Matters" was compelling. Dr. Dueck shared first hand experiences, stories and actual classroom examples of how changes in student communication, assessment and grading can not only improve achievement, learning and classroom climate, but most importantly positively transforms relationships between students and teachers. 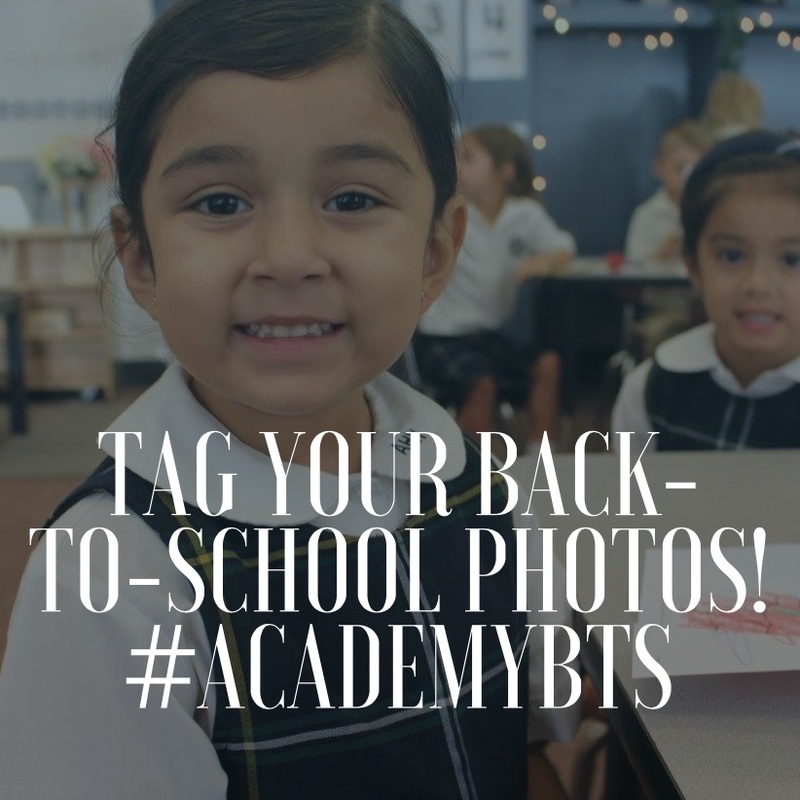 This is a very exciting time at the Academy, and we are blessed that you entrust us to shape the lives of each of your children. With you as our partner, there are even greater things on the horizon for our school. I look forward to seeing students on Wednesday and starting out a new school year. Enjoy these final moments of summer. Reminder: The First Day of School on Wednesday is Late Start, 8:45 a.m. The Clothes Closet Will Be Open On Monday, August 13th from 10:00 a.m.-1:00 p.m. Please Note the New Location In The MacDill House; Adjacent to the MacDill Exit Gate. Looking to volunteer this year? The Mothers Association has an event for you! Click here to view a full list of activities and to sign up online. Registration For After School Activities is Open! Click Here to Explore the Options! Save the Date: The ES Back-To-School Pool Party Will be on August 25th! 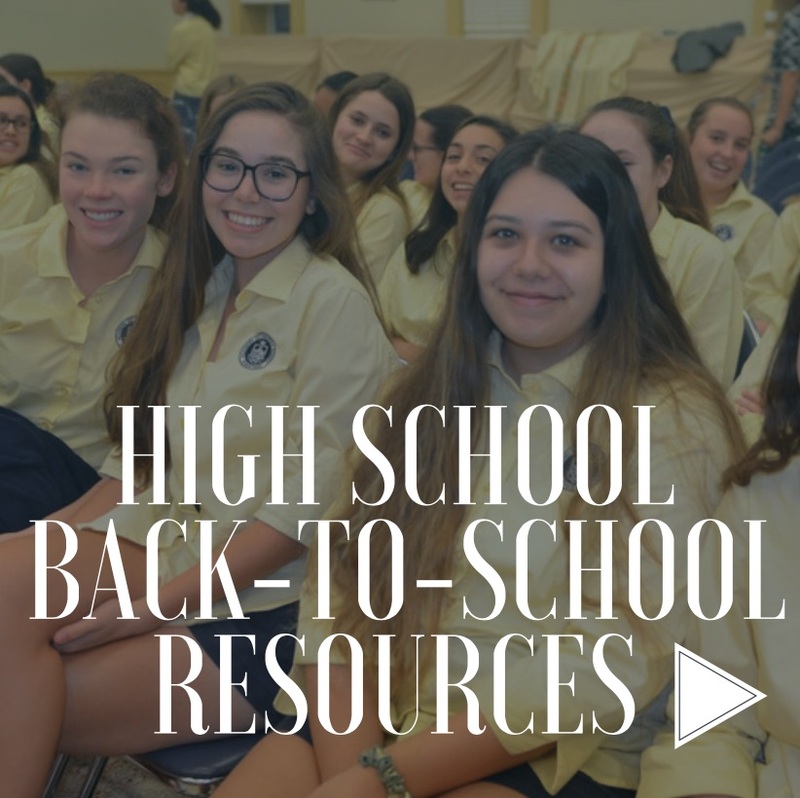 Reminder: We Will Celebrate An All-School Mass With Bishop Parkes on the First Day of School. Please Have Students Dress in the Appropriate Mass Uniform. There is a Vanderbilt University Information Night This Monday, August 13th, from 7:00-8:30 p.m. in the Bailey Family Center for the Arts. 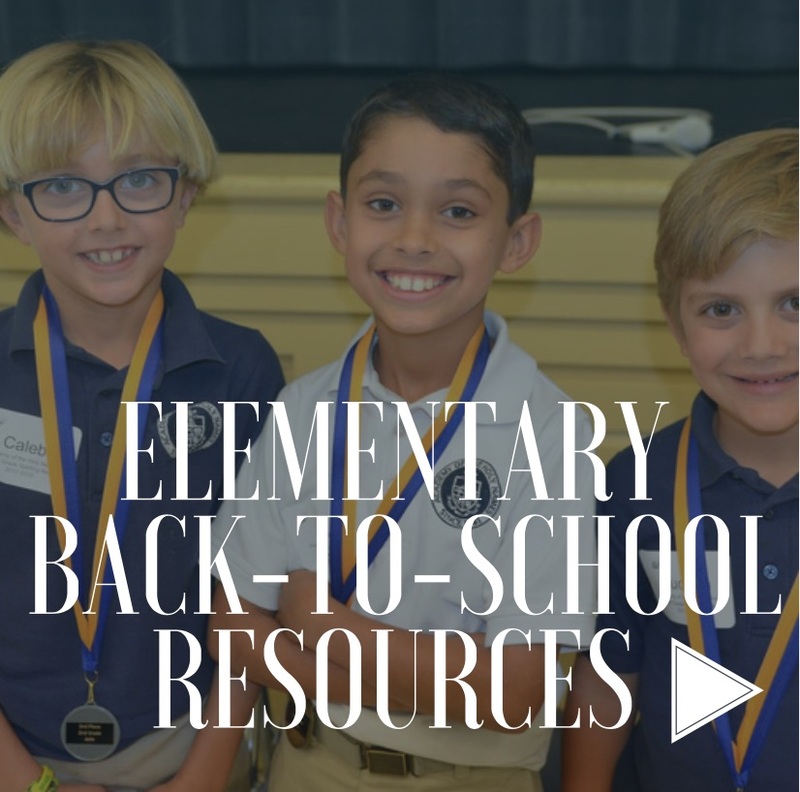 Registration Begins at 6:30 p.m.
-New Student Orientation Grade 5, 8:30 a.m.
-PreK Orientation (Parents Only) , 8:45 a.m.
-New Student Orientation Grades 6-8, 10:00 a.m.
-New Student Orientation Grades K-4, 11:30 a.m.
-Pre-K Open House, 8:45-10:45 a.m.
-8th Grade Orientation, 1:00-2:30 p.m.
-First Day of School- Late Start, 8:45 a.m.
-New 6-8 Students Tech Sessions, 3:15- 4:00 p.m.
-Orientation (Freshman/ New Student), 8:00 a.m.- 2:00 p.m.
-HS Orientation (New Students), 8:00 a.m.- 2:45 p.m.
-Orientation (Returning Students), 8:00 a.m.-12:00 p.m.
-Cross Country (HS Varsity) Parent Meeting, 5:30 p.m.